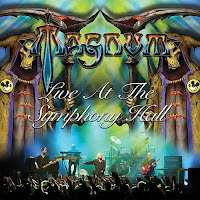 RockUnitedReviews: MAGNUM "LIVE AT THE SYMPHONY HALL"
MAGNUM "LIVE AT THE SYMPHONY HALL"
Released just under a year after the tour it was recorded on, January 2019 sees the release of the new Magnum live album, recorded as ever in their hometown of Birmingham, this time at the prestigious Symphony Hall. A chance to play in front of the home crowd with recent additions Rick Benton (keyboards) and Lee Morris (Drums) whilst promoting their best album for some time must have seemed like a perfect opportunity to get the recording gear out. I remember seeing them on this tour myself, and, quite frankly, it was the best I've seen them in years, bearing in mind they have never disappointed. This recording, spread over two discs, certainly brings back happy memories of that night, particularly the tweaked set list that brought a new breath of life to the show. Naturally, there's a selection of tracks from the excellent 'Lost On The Road To Eternity' album, 'Peaches & Cream', 'Without Love' and the amazing title track which is enlivened even more by the inlclusion of one Tobias Sammet onstage with the band for one night only. Elsewhere it's never less than excellent, and the closing foursome of 'Vigilante', 'Don't Wake The Lion', 'The Spirit' and 'When The World Comes Down' makes me wish I was there all over again -such a perfect end to a concert. The band sound great, as would be expected these days on a live recording. the sound throughout is crystal clear, with the crowd crucially not lost in the mix. There's the added crunchiness that you get at a Magnum gig, with the studio smoothness nicely roughed up a little, giving the songs a fresh urgency. 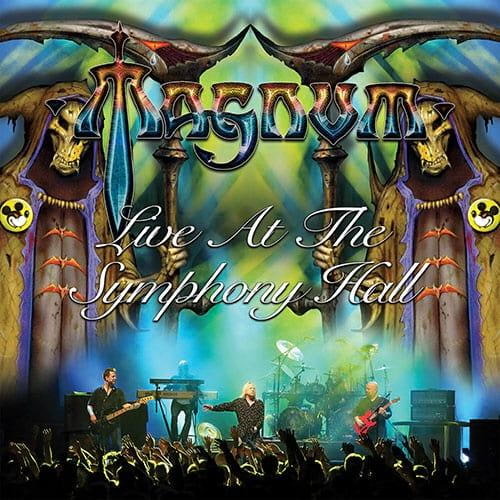 As live albums go, 'Live At The Symphony Hall' is up there with any you can mention, with fifteen tracks that will delight any and all Magnum fans.